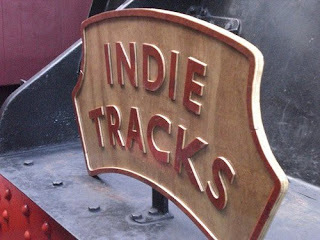 Indietracks - an indiepop festival: Exciting announcement coming soon! We’ll be making a very exciting ticket and headliner announcement about this year’s Indietracks next week on Tuesday March 23, so make sure you keep checking the official website for more information! Alternatively, you can sign up to our mailing list to receive all the latest information by clicking the “sign me up” button on our website! Or follow us on Twitter. You can also check out which bands have already been announced here too, including Ballboy, Allo Darlin’ and Standard Fare. Couldn't you just announce it now rather than make a post telling people you'll be announcing it next week? My wish list includes The Heart Strings, The Leisure Society, The Cavalcade, Lucky Soul, the Wild Swans, Moscow Olympics, the Innocence Mission and The Clientele. Please make me happy. Hi anonymous, we just thought it would be nice to let people know when we'd be announcing, that's all. We're just getting excited!